Conservatives approve of President Trump’s new policy toward the deportation of illegal aliens, but want him to eventually deport all the illegals, according to a poll by FedUp PAC. 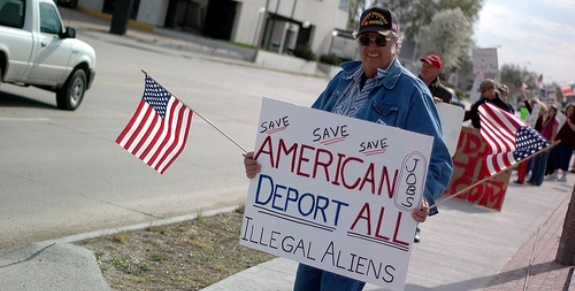 The new policy, revoking President Obama’s de facto amnesty for most illegals, won 88% support but only as a “first step” toward complete enforcement of the law. Only 11% agreed that the new policy was enough for the long term and that many illegal aliens should be allowed to stay. Estimates of the number of illegal aliens in the United States begin at eleven million, with some claiming that the number is much higher. During his 2016 campaign, Trump won strong support from Americans who are worried about the effect of so many illegals on employment, crime, welfare spending, and terrorism.